Dr Rob McDougall MBBS, FANZCA, Grad. 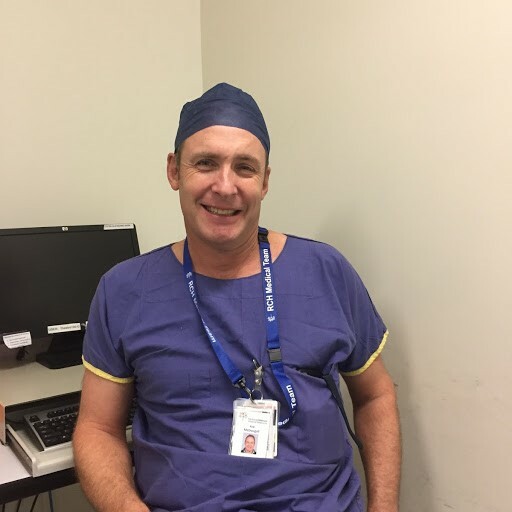 Cert Health Prof. Education is a specialist paediatric anaesthetist and Deputy Director of the Department of Paediatric Anaesthesia and Pain Management at the Royal Children’s Hospital, Melbourne. He is a Clinical Associate Professor in the Department of Paediatrics, University of Melbourne. He completed an 8 year term on the Council of the World Federation of Societies of Anaesthesiologists (WFSA) in 2012. Rob is currently an Associate Editor, Global Health Section of Anesthesia & Analgesia. Rob has extensive experience in education in anaesthesia and resuscitation in Asia and Australasia. His clinical interests include anaesthesia for burns, craniofacial and general paediatric surgery.